Home / All Blogs / How can you help the homeless in Toronto? 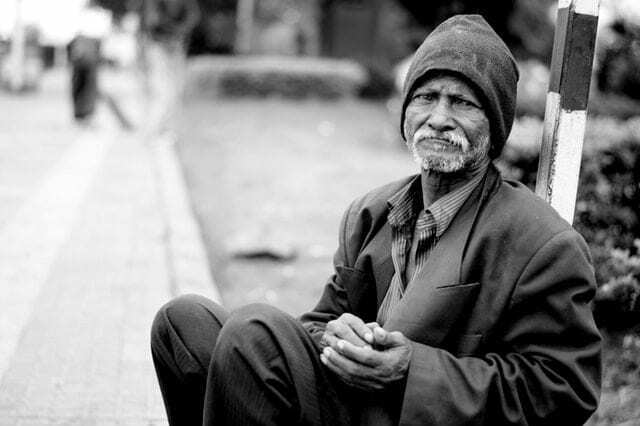 Whether it’s donating a case of cheap socks for the homeless or donating your time to volunteer at a shelter or social service agency, there are many ways that you can help the homeless in Toronto – and it may be easier than you think! The first step to helping anybody is committing to it – and for many of us, this is the hardest part. Many of us express that we would like to help somebody else, but often that is as far as the commitment goes. If you want to help somebody, like the homeless in this particular instance, commit to it! Once you have decided that you are fully committed and ready, it is time to decide what you are going to do to help. When it comes to helping the homeless in Toronto, there are many ways that you can get involved. Donating money and much-needed supplies to homeless shelters and agencies is the number one way to help the homeless in Toronto. There are hundreds of homeless shelters and social service agencies that are dedicated to helping the homeless just like you – but they need supplies! One of the problems that many of these shelters and agencies face unfortunately is that the product that gets donated is often the wrong product, and even worse sometimes has to be disposed of because it is unsafe. Through programs such as Bargains Group’s Triangle Fundraising, donors and recipients are connected in a way that allows the donors to donate the exact bulk supplies that are needed by the shelters and agencies. The most in demand products for homeless shelters and social service agencies are often bulk t-shirts, cheap socks, bulk winter accessories and bulk personal hygiene products. The Triangle Fundraising program allows shelters and agencies to receive the appropriate bulk supplies that they need while reducing the waste that sometimes comes from improperly donated items. Donating your time as a volunteer is another very meaningful way to help the homeless in Toronto. There are plenty of ways to volunteer to help the homeless in Toronto. Whether it be mentoring/ tutoring youth, volunteering at an event or even volunteering as an administrative assistant at one of the shelter’s or agencies’ offices. If you would like to help the homeless in Toronto, Engage & Change, a charity that is dedicated to helping the homeless in the GTA, facilitates two annual events (Project Water and Project Winter Survival) that are geared towards donating bottled water and packing survival kits for the homeless. Kit packing events are a great way to give back to the homeless in Toronto. If you’d like to get involved with larger scale events such as Project Water or Project Winter Survival you can always contact Engage and Change here. Separately, kit packing events can be done independently as well too! They are a great group volunteer activity that is perfect for team building as well as a way to engage in corporate social responsibility. If you are interested in doing your own kit packing event for the homeless, the experts at Bargains Group have been known to help organizations independently run their own kit packing events. They can help plan and organize your event and can even help by stretching your budget with wholesale products for the homeless and not for profit supplies. There are plenty of different ways that you can get involved in helping the homeless. Get involved with Engage and Change today or call 1-877-868-5655 to learn more.